Did you know that a car is broken into every 20 seconds? As a result, many insurance companies will give you a discount on your car insurance if you have a security system installed in your vehicle. You rely on your vehicle to get you to work, bring your kids to practice, haul your toys, and the list goes on. A car break-in isn't just a violation of your space, it's a violation of your piece of mind as well— plus it's a huge headache to deal with car repairs, police reports, being without a vehicle, and insurance companies. So why not do what you can to avoid it all? Adding or upgrading your security system can help deter crimes against your vehicle. In addition to protecting your vehicle itself and the people in it, you'll also want to protect what's in it. Whether i's your brand new sound system or the laptop you accidentally left in there the night before, you don't want to return to your car with a broken window and missing belongings. A car security system is both a safety and a convenience product. Your security remote can lock and unlock your doors, arm your alarm, open the trunk, and some even have remote start systems included. 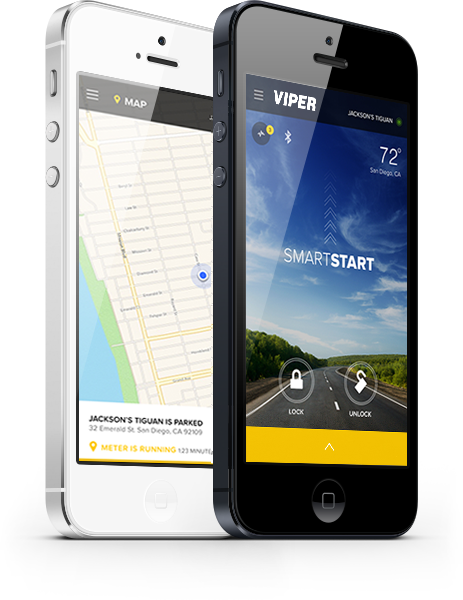 Viper SmartStart uses your smartphone as your security system and remote start control panel and lets you control your car from anywhere. 2-Way remotes let you get instant results in the event that something happens to your vehicle. Glass Break and Motion sensors alert you if someone has crossed the line into your car or in cargo areas. An extra output called an auxillary output allows you to customize remote features like remote start or trunk release if it didn't come with the remote. You can prevent your car from starting when the alarm is triggered by using a starter kill switch feature. Tilt sensors can let you know if you're car is being towed. Have more questions about car security for your vehicle? Contact the Freeman's location nearest you or ask a pro.